Home / Team / Philip Jones Jr.
Kirk Jones helps corporations and other business entities throughout Louisiana and the U.S. in complex commercial litigation, corporate bankruptcy, insolvency and creditors’ representations. 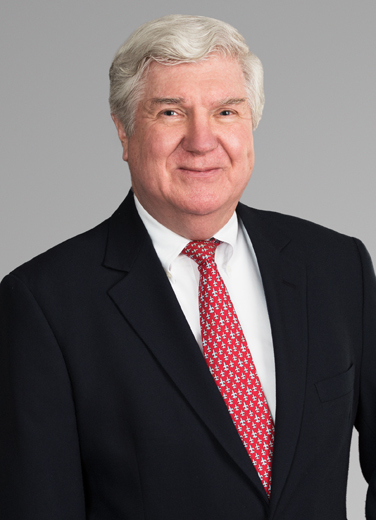 Clients also seek Kirk's help in claims involving trusts, estates and succession litigation, indenture trustees, arbitration and other contentious corporate and partnership disputes. His clients include major oil companies and banks, which he regularly counsels concerning their rights under mineral leases and operating agreements during bankruptcy cases. Kirk has also acted as counsel for the indenture trustee in the bankruptcy of a land-based casino and for a disbursement agent in another casino bankruptcy. "I also get involved in other complex business disputes, such as appellate cases, legacy litigation and decommissioning of onshore wells," Kirk said, "especially if bankruptcy is an issue." He served as a Law Clerk to the Honorable John A. Dixon, Jr., Chief Justice, Supreme Court of Louisiana, 1974 - 1975 and was a Lecturer-in-Law at the University of Singapore, 1977-79.